On Sunday, Twitter reached a big marketing landmark by running its first official TV ad, part of a series of 15-second spots centered on Nascar. 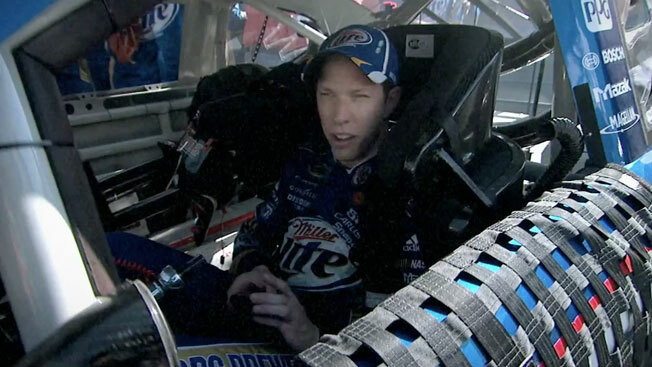 As with the social network's first online ad, the "Brad's View" spot is pretty underwhelming—just a few dry seconds of Nascar driver Brad Keselowski using his iPhone. It ends with the message "See what he sees," followed by "Twitter.com/#NASCAR." You can watch it below, and more from the series after the jump. The spots will likely have less impact on TV viewers than on social-media wonks, who'll quickly notice that instead of promoting a Twitter account, the ads promote a sponsored hashtag page. Visitors will see a variety of curated Twitter feeds there instead of just one account or a deluge of unfiltered fan posts. The Nascar promotion and TV spot "aren't just aimed at race fans," notes TechCrunch. "They're also a pitch to a whole bunch of other brand marketers as a way to show off what Twitter's hashtag pages are capable of." Moving forward, you can likely expect to see similar hashtag promotions built around popular events like the Super Bowl, the Academy Awards and the NBA Finals. But time will tell whether Twitter users will prefer to have their content filtered through a corporate sieve. At some point, the polished, public relations vibe of sponsored discussions could make Twitter seem less like a global conversation and more like just watching TV.